Putting great learning content in colleagues’ pockets; anytime, anywhere. With so many complex products being sold in store, it’s vital that colleagues can help guide customers through all of the different options available to them, narrowing down all of the options to find the perfect match for their customer. 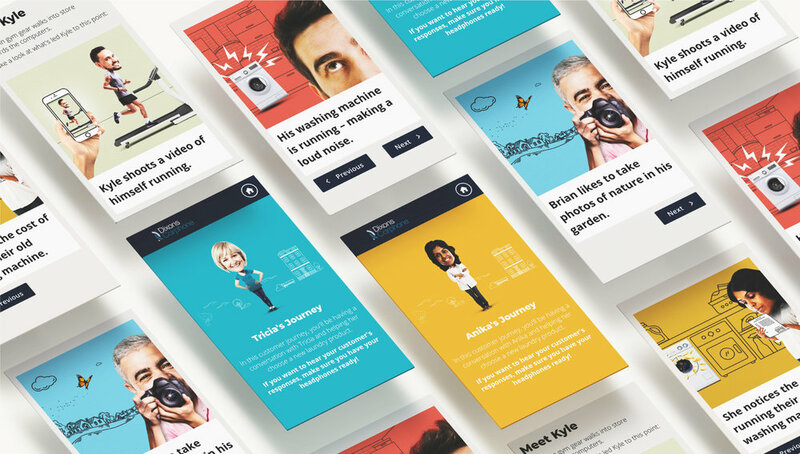 We created an interactive, digital learning module based around different customer scenarios. Colleagues go through a branching conversation, trying to pick the best questions to uncover important information that will help them recommend the right product. This interactive questioning helps colleagues improve their conversational skills and also reinforces what aspects of products are the most important to match with their customer’s needs. This project pushed the limits of digital learning, tying together interactive questions and feedback, role-play learning, videos, images and written content – all to create a truly cutting-edge learning module. <strong>Premier Inn</strong>Helping thousands of employees keep InTouch.